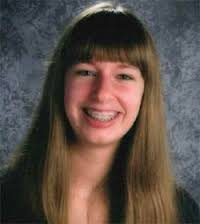 15 year old Kathryn Stalbaum has been missing since Tuesday morning, November 5, 2013 in Genesee, Wisconsin. The Waukesha County teen disappeared while bicycling on her way to school. Kathryn J. Stalbaum was last heard from about 6 a.m. Tuesday, when the Kettle Moraine High School freshman missed her bus and texted a friend that she would ride her bicycle the two miles to school instead. She never arrived at school. Katheryn Stalbaum is described as 5 feet 7 inches, weighing 120 pounds, with brown hair and blue eyes. She wears braces and contact lenses and may be wearing jeans, a sweatshirt and bright pink Nike tennis shoes. Kathryn left for school around 6:15 a.m. Tuesday morning. She had texted a friend she’d ride her bike because she missed the bus. Kathryn never made it to school, and her mother flagged down a deputy when she never made it home that afternoon. She hasn’t been heard from since. Kathryn’s family didn’t want to comment, but wanted us to show you the pictures so you can keep your eyes peeled. She may be wearing jeans, a sweatshirt, pink Nikes, and a teal backpack. Any information is good information, as the clock ticks to get Kathryn back. 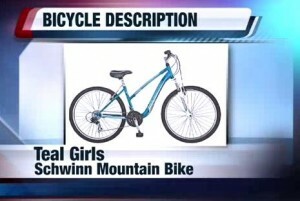 UPDATE I: Bicycle recovered, search continues for missing Genesee girl. The teal bicycle of missing Kathryn Stalbaum was located because of a citizen tip according to authorities at a news conference on Thursday. Authorities have not disclosed the location of the bicycle due to the on going investigation. Nonetheless, detectives still don’t know where Stalbaum is and what might have happened on her way to school. Anyone with information regarding missing 15 year old Kathryn Stalbaum, please contact the Waukesha County Communication Center at (262) 446-5090. Waukesha County Sheriff’s Department Facebook. 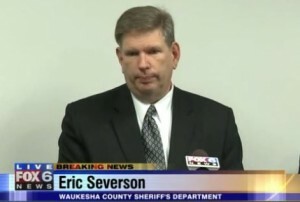 UPDATE II: Press Conference with Eric Severson, Waukesha County Sheriff’s Department. Police mentioned that teal backpack first thought to be in Kathryn’s possession was not. It was found in her school locker. On Thursday morning, November 7th, officials indicated they have completed a first round of door-to-door canvassing. They are now planning for another round of searches — and they are focusing primarily on the route Stalbaum would have taken from her home to school. UPDATE III: Missing teen found in Chicago. Kathryn J. Stalbaum, the 15-year-old Town of Genesee girl whose disappearance prompted Waukesha County authorities to request help from the FBI to locate her, was found alive and well Friday evening in Chicago, officials said. Waukesha County Sheriff’s Inspector Eric Severson said investigators are on their way to Chicago to talk with the girl, but he did not say whether she was abducted or whether she left Waukesha County on her own accord. UPDATE IV: Questions remain after missing teen found safe in Chicago. “Yea it’s nice to know that it’s over but nobody really knows why she was gone and I guess that still kinda has people on edge,” said Zac Preston, a student at Kettle Moraine. “They’re just talking about what happened to her, maybe she ran off, or was she kidnapped and other things like that, so it got pretty scary around here,” said Andrew Roskopf, a concerned parent in the neighborhood. Waukesha County Sheriff’s Deputies on Monday said they’re giving Kathryn time to open up and would not confirm nor deny at this point whether Kathryn ran away.